This year I am participating in a really fun book club for kids with some wonderful co hosts! I am honored to get involved in the Poppins Book Nook! 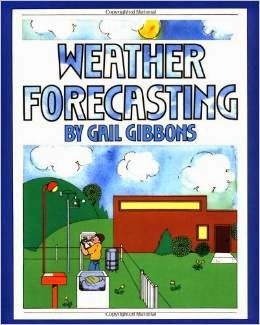 We read the Book Weather Forecasting by Gail Gibbons this month. We read the book at bedtime one night. My son Roo was quite interested in the book. He thought it was neat that they work on computers to forecast the weather. We talked about different kinds of weather. We made some fun weather sticks. My son decided right away these would be used with his sessions of action figures and cars, to make the weather change! Pretty creative the kid is, eh? 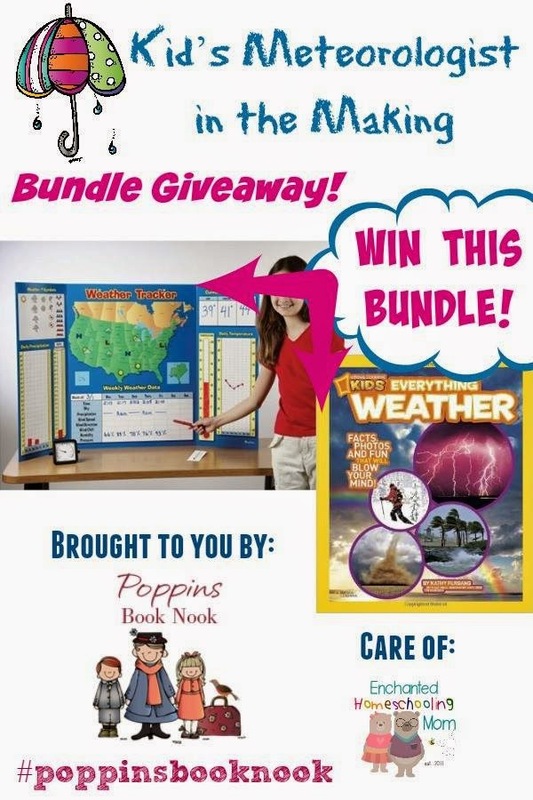 Kid’s Meteorologist in the Making Bundle Giveaway! Every month the Poppins Book Nook group will be offering readers a chance to win a brand new storybook or product that ties in with our theme for the month. This month one lucky entrant will win the Kid’s Meteorologist In The Making Bundle. The winner will enjoy two fun weather themed learning items. The two items that they will win is the Weather Tracker and National Geographic’s Kid’s Everything Weather (*kindly note that these are affiliate links and your purchase helps to run this book club). 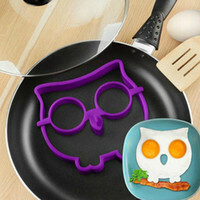 These two wondrous weather items can bring your children a fun weather activity or two.